As support grows for a business improvement area in downtown Sidney, one town councillor is calling for the disparate business groups to combine their efforts, no matter the outcome of this latest BIA proposal. More than 10 business owners stood before Sidney town council on Oct. 29, expressing their support for a BIA, which would market the downtown to potential customers locally and around the Island. The business community itself — not town hall — would have to approve the BIA (50 per cent of owners, representing 50 per cent of assessed commercial value in the downtown) in a voting process, run by either the proponents or the town (see sidebar). The Town of Sidney would then become the collector of its fees. The proponents of the BIA, the Sidney Business Development Group (SBDG), still have challenges to overcome — not the least of which is the town’s history with proposed BIAs. The most recent initiatives have all failed and some people in the business community are either against it, or uncertain. That’s why the SBDG is meeting with as many people as possible, says chair Cliff McNeil-Smith. “We plan to meet soon with the entire (Saanich Peninsula) chamber board to talk about how the BIA group can work with them,” he told council. The SBDG has also met with the Sidney Business Association. McNeil-Smith said it was positive, but more talks are yet to come. The SBA spoke cautiously about the BIA and the SBDG last month at another council meeting. At the time, councillor Steve Price was concerned about how the town spent more than $18,000 on the SBDG in the hopes of uniting all of the business groups in town. Instead, the SBDG is proposing a BIA, something Price said he did not expect. He added in an interview that the town has no problem with the SBDG seeking a BIA, saying something needs to be done to help the business community. However, he said he would have liked the SBDG to have been more clear in its initial request for the town’s money back in June. He said it could have changed the outcome. What that grant did, Price continued, is give some people the impression that the town is directly backing the BIA push. While the town will let the BIA question play out among business owners, Price said he wants to see the many different business groups come together. “We want one dominant group in town, not six or seven when one could do the job,” Price said. He added if neither the SBDG nor anyone else can do this, the town may have to do something. Price said there are early, conceptual talks at the council level of having an economic development position within the municipal structure. Recently, council approved money to have staff look into the creation of an event co-ordinator position. That job, Price said, could eventually be expanded to include economic development for the town, using spare office space at municipal hall. “We all have the same goal in mind,” Price said, noting that a town-run economic development office is only a concept and a topic for future budget talks. Asked if this idea runs the risk of creating yet another business group, Price said yes but he hopes it would be done right and is strong enough to get the other groups on board. As for what Price expects from the SBDG from the town’s $18,500 grant, he said for him it’s still the combination of all the business groups into one body. The SBDG has said it plans to present the results of its BIA effort to town council by the end of the month. 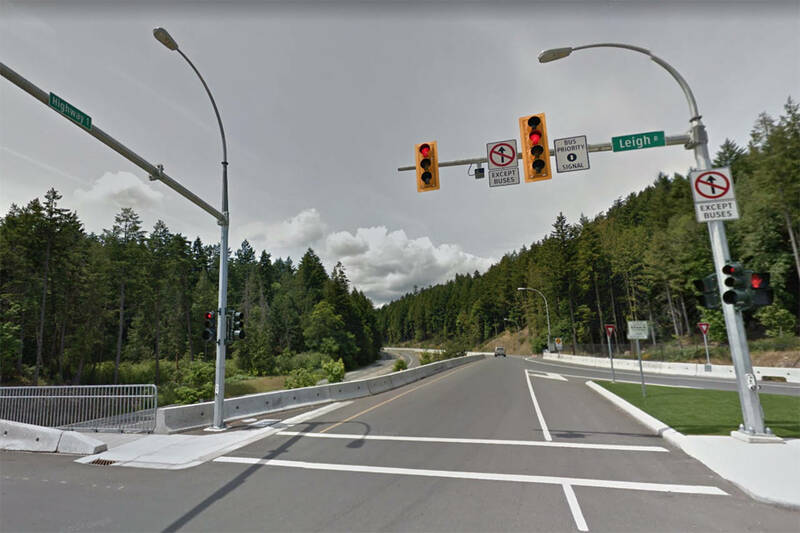 When and if the Sidney Business Development Group is ready to proceed with the approval process for its business improvement area (BIA), they have one of two options to choose from, as set out by B.C.’s Local Government Act. The first is a petition run by the proponents of the plan — in this case, the SBDG. According to Town of Sidney chief administrative officer Randy Humble, a petition would have to win 50 per cent of the business owners in the proposed BIA boundaries. Those owners would also have to represent at least 50 per cent of the assessed value of commercial space downtown. Under the legislation, if those goalposts are met, the municipality would have no choice but to enact the BIA and become the tax collector. In a second option, the proponents can ask the town to run a council initiative — or counter petition process. In this option, the same percentages of business owners would have to say ‘no’ to the BIA. If enough do say ‘no’, then the counter petition is valid and the proposal dies. If, on the other hand, not enough people say ‘no’ Humble said the counter-petition fails and a BIA bylaw would go to three readings by town council before it’s implemented. Humble confirmed that if the town is asked to run a counter-petition, council could refuse to do so. As well, in the final three readings of a BIA bylaw council could vote to not proceed. Humble did point out that town council is leaving it up to the business community to decide whether to support the BIA concept.